I first came across Ice Yarn on Instagram. I was drawn to the amazing range of rainbow colours and the awesome effect of the gradients. After some googling I found where I could buy it online and luckily they shipped to Australia. Living on a giant island I assumed the price to ship would be outrageous, it was, but the yarn was super reasonable so it all worked out. Plus, there is nothing like it in any of our craft stores! I ordered 12 balls, they only send it in lots of 4, and it arrived within 8 days of clicked “buy”! What great service. The wool was even more brighter in real life and fairly soft to touch. 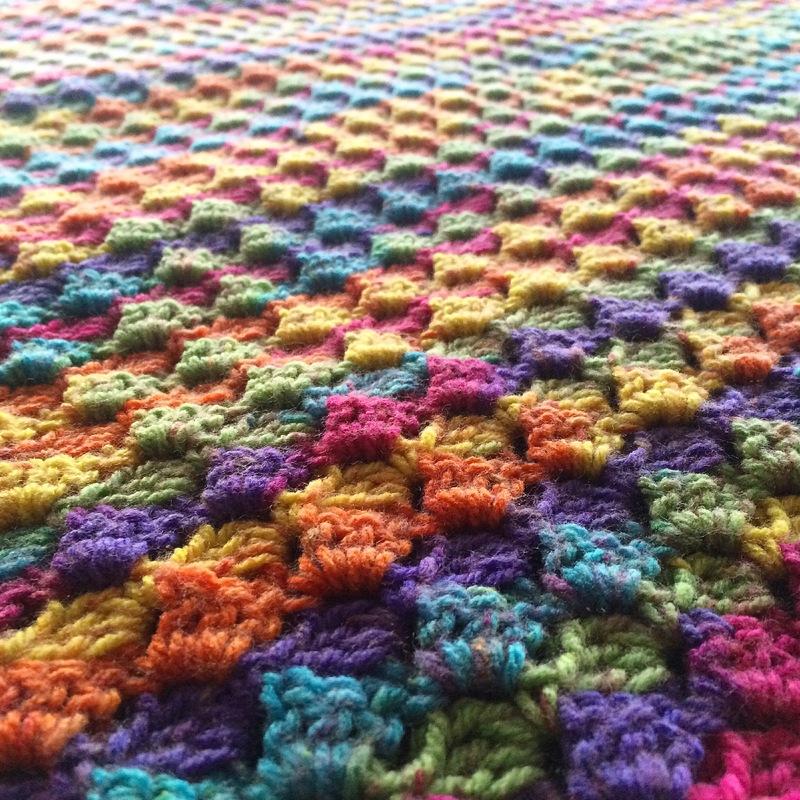 Instantly I started to crochet and fell in love with the bright colours and design. I’ve since ordered the blue variety, and the orange rainbow and was equally impressed. This is a favorite of mine and will continue to use it for upcoming projects. Hi! Really lovely colors and lovely blanket! I was unable to decide which Ice yarn to use, but I think I’ve decided now that I’ve seen your lovely blanket ❤ May I learn the pattern of the blanket on the top picture please? Thanks!